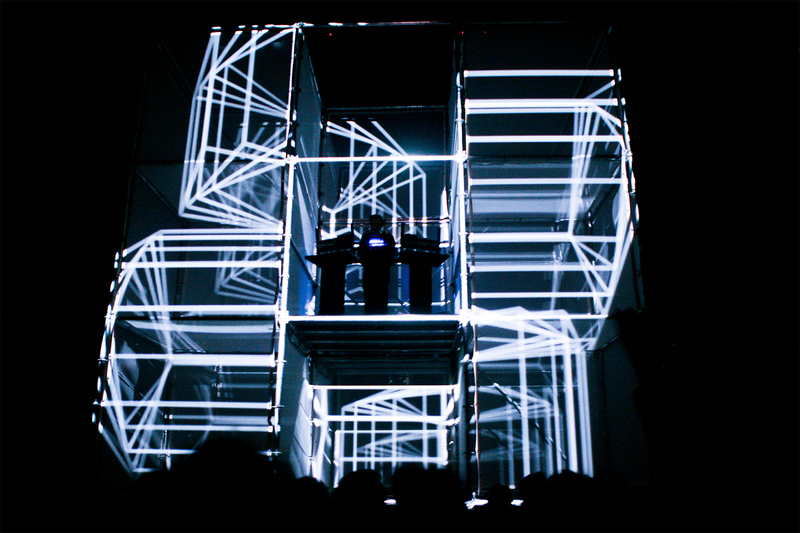 Creative design for Etienne de Crécy live show, as part of Machine Molle during summer 2012. I did visuals patterns design & animation for the video-mapping live performance, working with creative director Armand Beraud, and Clement Rouil. 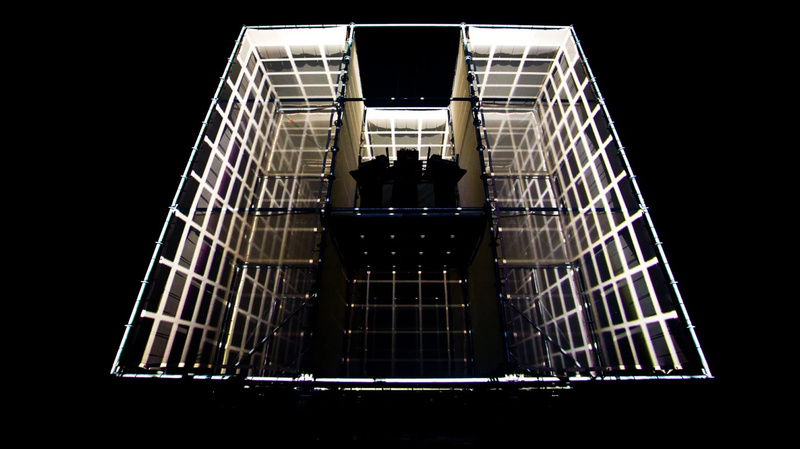 During the show, Etienne de Crécy stand in the middle of a 9 meters wide cube, subdivided in 9 sub-squares. Animated patterns are projected onto the volume, synchronized to the music beat, evolving during the show.